Illinois Free VIN Check | Free Vehicle History - Simply Enter VIN! The Office of the Secretary of State shall inspect any rebuilt salvaged vehicle (8 model years of age or newer) as a requirement for registration. The inspection covers the vehicle and pertinent documents to make sure that the identification numbers of the vehicle or its parts have not been destroyed or tampered with. VinCheck.info gathers information on thefts, accidents, sales, titles, specifications, and more from official federal and state government sources across the country into a database to provide free vehicle history to the public. Search based on the 17-digit VIN or the license plate number. You can check the title status of a vehicle by entering the VIN through the Title and Registration Status Inquiry service available at CyberDriveIllinois.com. Enter a VIN or a title number to retrieve title information. This is a fee-based service that requires a $95 annual fee for subscribers and a $6 per-record fee for non-subscribers. For more information about vehicle title and registration searches and fees, check out the FAQ section. 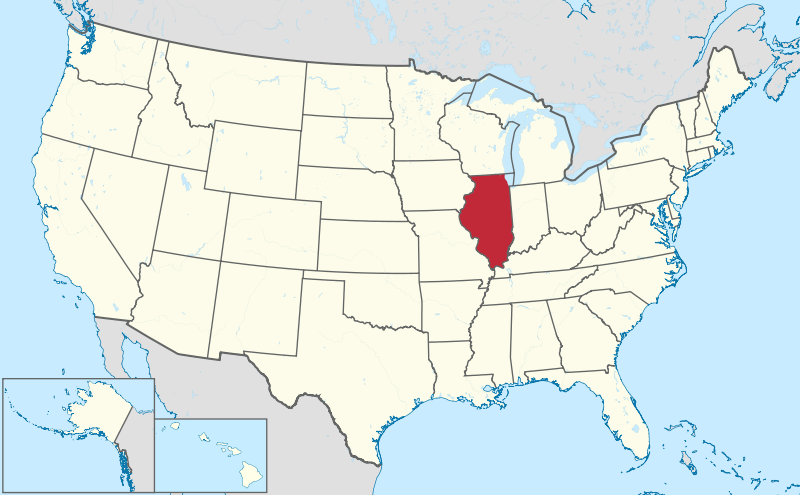 Illinois, located in the Midwestern region, was the 21st state to join the Union. The 6th most populous state, with a population of approximately 12,801,539, the Windy State is divided among 102 counties spanning 57,914 square miles. The six most populous cities in Illinois are Chicago (also the third most populous in the US), Aurora, Rockford, Joliet, Naperville, and Springfield (capital). A total of 1,081 traffic fatalities were recorded in 2016, which is higher by 8.41% compared to 998 fatalities in 2015. Fatality rate is 8.45 deaths per every 100,000 population. Passenger car occupants represent 38% of traffic fatalities. 155.5 thefts were reported for every 100,000 inhabitants. On average, there were 54.5 motor vehicles stolen per day. Tornado is the most prevalent natural disaster in Illinois, with a total of 2420 tornadoes from 1950 to 2017. Illinois is one of the 10 most tornado-prone states, with an average of 54 touchdowns annually from 1991 to 2015. Chicago ranks eighth among the 10 large cities that are safest from natural disasters. Why should I run an Illinois VIN Check? Check for accidents. Every year, approximately 6 million automobile accidents are reported by the National Highway Traffic Safety Administration. Check for title brands. Flood, hail-damage, and salvage titles are examples of critical title brands that you need to watch out for before buying a used car. Check for thefts. Check for an active theft or previously recovered theft record by VIN search to make sure you are not buying a stolen car or a car with stolen parts.